BEIJING, China - The Philippines’ presidential envoy held his first “private” talks with counterparts in China Thursday, signaling a potential pivot away from the United States as Washington and Manila grapple with a rare diplomatic row. The Philippine special envoy to China, ex-President Fidel Ramos, was in Hong Kong for a meeting with former top diplomat Fu Ying and South China Sea expert Wu Shicun, according to knowledgeable sources who spoke earlier on condition of anonymity. Fu Ying was China’s former deputy foreign minister and ambassador to Manila and London, while Wu is president of China’s top think-tank on South China Sea disputes. Both are believed to be influential advisers on the bitter maritime standoff that has soured ties with the Philippine and other neighbors. Philippine President Rodrigo Duterte, described by some media as his region’s version of Donald Trump, is a straight-talker whose ruthless crackdown on drugs has reportedly led to the death of to more than 500 suspected dealers. 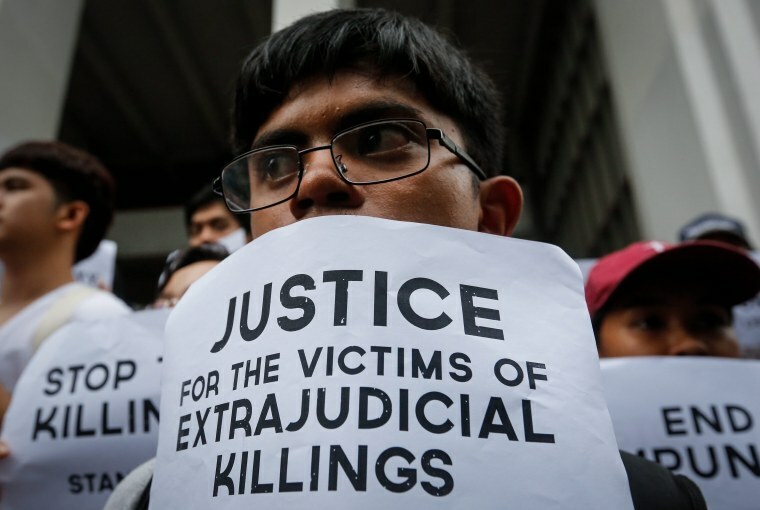 Duterte has also warned he could declare martial law if opponents interfere with his program of suspected extra-judicial killing, for which the U.S. had expressed human rights concerns. It comes after Washington announced Monday that it had summoned the Philippine envoy to clarify insulting and “inappropriate comments” made by Duterte about U.S. ambassador Philip Goldberg. “We have asked the Philippines charge to come into the State Department to clarify those remarks,” the department’s spokeswoman Elizabeth Trudeau said. In televised remarks, Duterte called Goldberg “gay” and described him using a common local slur. Trudeau also said the U.S. had also expressed concern at Duterte’s reign of terror against drugs that has seem more than 4,400 arrested while nearly 600,000 others have surrendered for fear of being killed, according to Philippine media reports. "We strongly urge the Philippines to ensure its law enforcement efforts comply with its human rights obligations,” she added. Analysts believe the Philippines will seek greater cooperation with China as big drug lords are believed to operate their international syndicates from that country. Despite his “shock and awe” drug campaign, Duterte still enjoys “high trust rating from the public,” according to Ramon Casiple, director of the Philippine Institute for Political and Electoral Reform.